Wild Ginger? I’ll say. Fancy/hole-in-the-wall: you say? 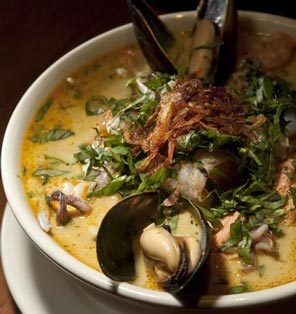 Malaysian laksa: my go-to dish at Wild Ginger. 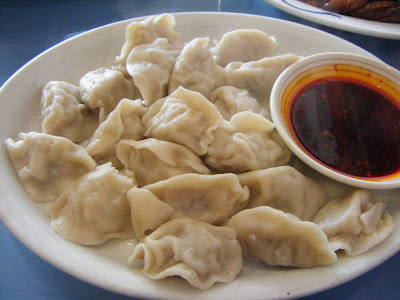 Don’t miss the dumplings at Sichuanese Cuisine in Little Saigon. Winter woes? 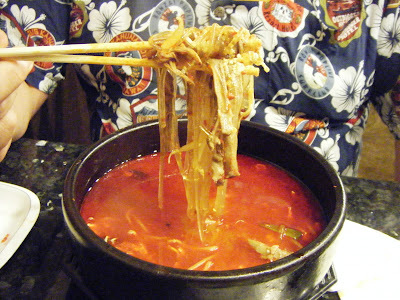 Ditch ’em with spicy Korean beef soup at Kaya in Shoreline. 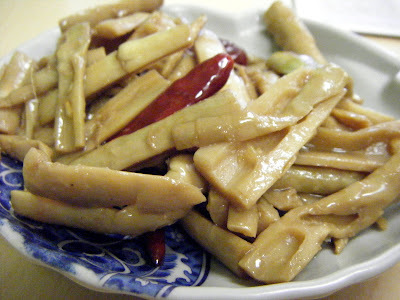 I’m addicted to these marinated bamboo shoots at Green Village in the ID. Bet you can’t eat just one, at Tsukushinbo in old Japantown. 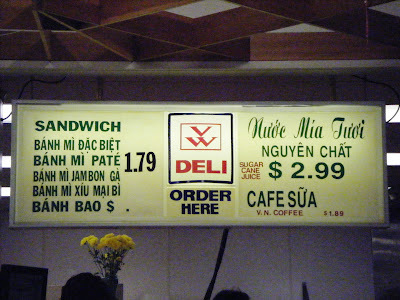 $1.79 for banh mi? Sure, if you go to Viet-Wah in South Seattle. 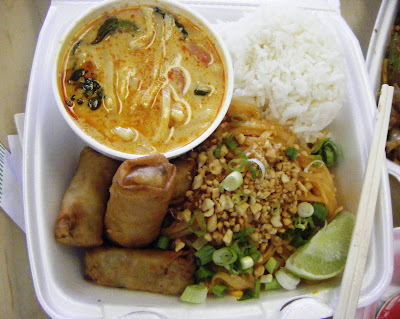 The truck stops here: tempting takeout from Kaosamai Thai’s mobile unit. But as much as I love hanging in haunts like Chili’s Deli and Pal-Do World, where I can delight in the wonders of masala dosa or Korean fried chicken with colorful panchan . . . 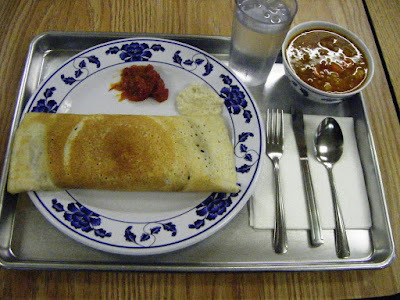 This marvelous Masala dosa at Chili’s on University Way costs about $6, soup included. Korea’s No. 1 fried chicken — with side dishes at Cho Dang Tofu at Pal-Do World in Lynnwood.
. . . there remains in my heart a place at the table — or better yet, as I said today, at the satay bar — for my longtime love, Wild Ginger, now with a new, industrial-goes-elegant outpost in Bellevue. 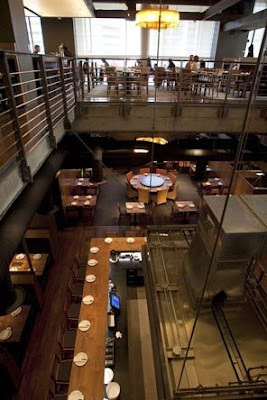 The dual-level dining room and (momentarily quiet) satay bar at Wild Ginger at the Bravern. Let’s face it: Not everybody loves a hole-in-the-wall “ethnic” cafe or a pig’s ear salad. Which, to my thinking, is their loss and my gain. Pig ears? I can’t hearrrrrrrr you! 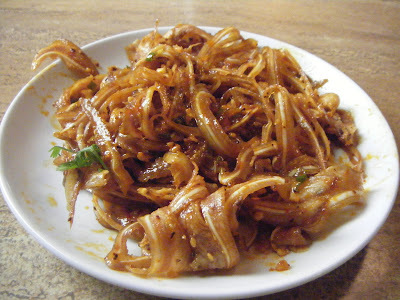 Yes, PIG EARS — at Szechuan 99 in Lynnwood. 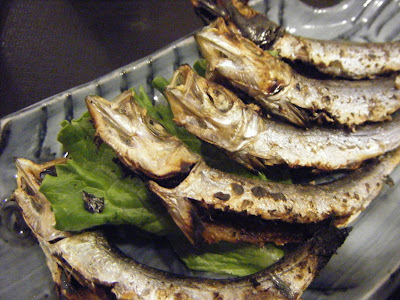 Now fess up, what’s your favorite place for Asian eats, times two: “fancy”-ish and “hole-in-the-wall”?